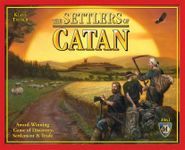 THE BEST EVER BOARD GAMES SETS ARE LISTED IN RANK ORDER. This is only in my opinion!! But I am a very varied board gamer, with a wide view of a wide range of different old and new Board Games. Thank you for looking. This brilliant detective board is all about your mind, you have a be a sneaky detective and need to be most discrete, all good houses have a copy of this masterpiece board game, weather its card, harry potter or many many of the various adaptations of Cluedo. It is a brilliant game that is like no other, and though many people have tried you don't beat a masterpiece like this you simple bask in it's splendour! This is an extraordinary board game that pushes the limits of non-electronic fun past anything I've ever played or owned before. It is a simple yet uplifting experience to play this city building game in which you create an empire and battle against other players. It will set your hole family laughing and creates such a sociably and enjoyable experience for all. 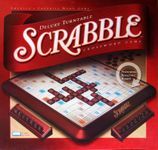 This is a world wide board game, known to all households if not just in England that across the globe, more adaptations of this board half been created that any other, and it is a historical masterpiece from PARKER BROS. If you haven't played this board game you haven't lived. Play it now before it's too late. The great horse rides again, this horse racing board game is brilliant and complicated and simple all at once. It uses two boards (1 for the training and 1 for the race) and 12 different horses, you run your horses with real life scenarios and bet on the winners, with money, vets, stables, bookies, blacksmiths and deaths this is like a day at ascot races. Such a brilliant, 3 dimensional board is this, it recreated by far the best game in the world, LIFE! It is simple, and very self-explanatory in ever sense, find a board anything like this and I would eat my hat! Another classic board game that shocked the world, this violent tactical war masterpiece is a great piece of board game engineering and will never ever be toped by any wartime board game it is such a strategically brilliant game that so many people have played and loved and adapted around the world!! A board game like no other this is the best intellectual board game ever made, it makes words and literacy so much more interesting. And then there's upwards, the new game of scrabble that makes you go up and across, where 1 letter can ear you 20 and 5 can earn you 6! This is a masterpiece and let no man say otherwise. 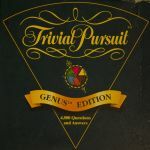 A hard and challenging board game but never the less a brilliant one, it conveys a simple structure and yet is a difficult game of question and answer. 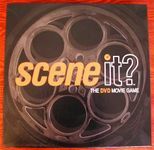 Scene IT! a massive board game set with specific film and T.V versions. 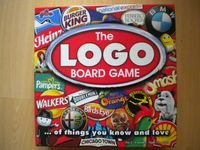 It is a T.V screen board game made for all television lovers everwhere. It has flaws (has anything not) but never the less it is a great time buy which ever one you want! As it goes this game is not the best, but it's enjoyable, it has overly complicated rules that could be tweaked to make a better game, it did however rise to its expected potential.